One day after a guilty verdict was handed down to President Donald Trump's former campaign manager and a guilty plea came from his former lawyer, House Minority Leader Nancy Pelosi told KQED that Trump has "engendered a culture of cronyism and corruption in D.C.," but warned that any effort at impeachment would need to be bipartisan. 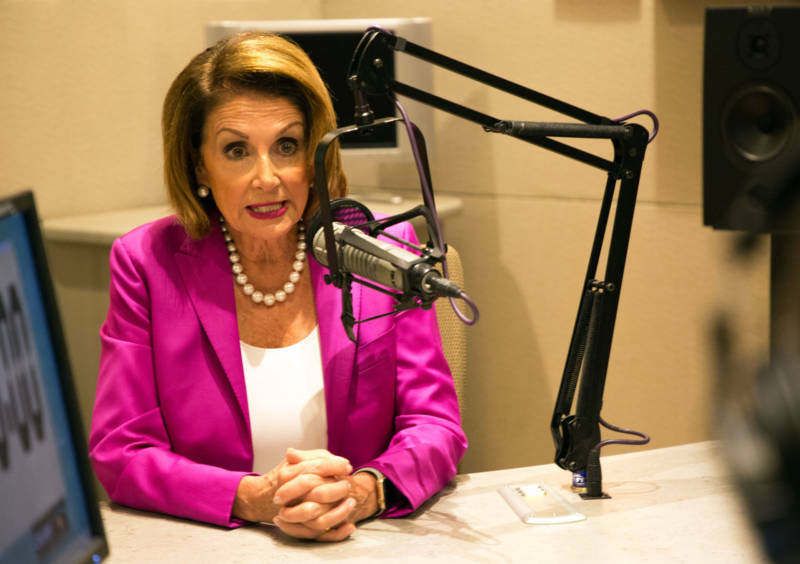 Pelosi sat down with KQED for more than an hour the day after a series of stunning legal developments, including the indictment of San Diego Republican Congressman Duncan Hunter on campaign embezzlement charges. Pelosi noted that Hunter was the second member of Congress to endorse Trump -- and that the first, New York Republican Congressman Chris Collins -- was also recently charged with insider trading. Both were early and ardent supporters of Donald Trump's candidacy. 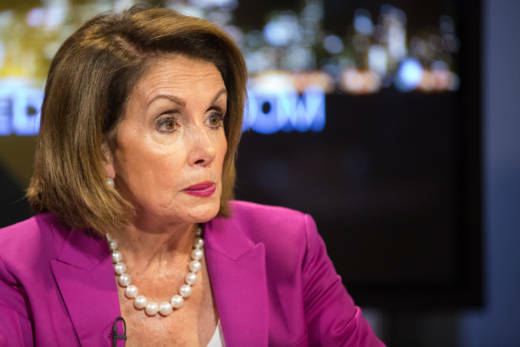 But Pelosi said the litany of legal developments don't change her view that Democrats shouldn't be running on a promise to impeach the president -- that instead, they should focus on the issues that matter to their constituents. She said voters know about Trump without candidates having to harp on the message. "Let's seek the truth, find the truth, and protect the Mueller investigation ... and stop the assault on the DOJ," she said, referring to the Department of Justice. "We have to protect the integrity of the system he's making an assault on." Pelosi also pushed back on recent calls for her to step down as leader of the House Democrats, saying that "special interest, dark money" and the opposing party shouldn't be choosing Democrats' leader. "They attack me because they're scared of me," she said, ticking off her list of legislative accomplishments, including the Affordable Care Act. "I eat their lunch." But she tried to draw a distinction between what many candidates have been saying -- that the party needs new leadership -- and whether that's an attack on her personally. "Everyone wants new leadership," she said. "I want new leadership." And Pelosi said she's happy to see a diverse group of Democratic candidates win primaries, even if they are running on a message of changing course. But, she warned that at least one of the more progressive positions may not help pick up seats. "Abolishing ICE (U.S. Immigration and Customs Enforcement) is not a winning message," she said. "We should reform ICE, we should have more oversight over ICE. But we have to win the election." Pelosi appeared confident that Democrats can win back control of the House, but wouldn't bite when asked how many of the 10 seats Democrats are targeting in California they'll be able to flip. "A number of them," she said with a smile. Marisa Lagos and Scott Shafer are the hosts of Political Breakdown, a weekly podcast and radio program on California politics. Their full interview with Nancy Pelosi will be posted Thursday.